What are his or her needs? What care facilities are available and how do they differ? How do you research the safety and care provided at a facility? There are actually many types of care facilities for elderly individuals that offer a wide range of services. Independent living communities: Many areas have senior independent living communities, which cater to people over 65 who are mostly independent but need a little help. These facilities take on the burden of owning a home for seniors and often provide cleaning services for apartment-sized units that come with senior-oriented safety features. The communities also offer dining services, social events, and minimal medical care. Assisted living facilities: When your loved one is no longer capable of being independent due to physical or cognitive restrictions yet does not need a great deal of medical care, an assisted facility may be appropriate. These facilities offer daily assistance with meals, medications, exercise, and housekeeping. Staff members are available at all times for offering help and supervision. Nursing homes: Nursing homes are often the best for your loved one when he or she needs constant medical care and help due to serious injuries or conditions. These facilities are for elderly individuals who are not independent and need a great deal of medical attention. 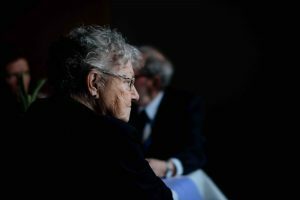 While seniors tend to live alone or with spouses in independent living communities or assisted living facilities, they will often share rooms in nursing homes. Nursing homes are the facilities that are most likely to have dementia- or Alzheimer’s-specific care units. Respite care: Sometimes elderly individuals are generally independent but need a greater amount of care after a temporary injury or condition. Some assisted living facilities and nursing homes offer respite or rehabilitation care, which includes short-time stays. You should speak with your loved one and their physicians when determining the type of facility that is best for him or her. You may also need to consider your loved one’s future abilities. While an assisted living facility may be best for right now, you may predict that your loved one’s condition could worsen in the next few years requiring a nursing home’s services. If you are looking at a nursing home that accepts Medicare, then you can use the Medicare.gov website to review a nursing home’s past inspections. Has Your Loved One Been Abused or Neglected? No matter how hard you try, it is possible that a staff member or employee at the facility you chose abuses or neglects your elderly loved one. If you believe your parent or grandparent was injured because of abuse or substandard card, call us at Brod Law Firm right away at (800) 427-7020. Your loved one may have the right to seek compensation for their injuries. The individual’s actions may also amount to a crime.